This recipe is from one of my favorite food blogs, Delicious Days. I have found so many gems on this site that I can honestly say it is one of the things that inspired me to start my own food blog. Many of the recipes that I go back to again and again come from here, and every time I wander back I find something new to entice me. This cookie recipe is one of the best, in my humble opinion. Now, if you will allow me to get up on my soapbox for a moment, I’m going to say a word about weighing your ingredients when baking. I know it’s not that common in the States. For that reason, I did my best to convert all measurements to the American standard. However… have you ever tried weighing instead? It’s so much more consistent, and always results in a finished product that turns out as intended. And it’s really not difficult- it’s actually easier, once you get in the habit. Decent kitchen scales can be found pretty much anywhere for very little money. Just putting my two cents out there. (If you want to try it with this recipe, click through to the link to the original recipe.) Ok, down off my soap box now. I can’t reach the cookie plate from up there. These are seriously good. 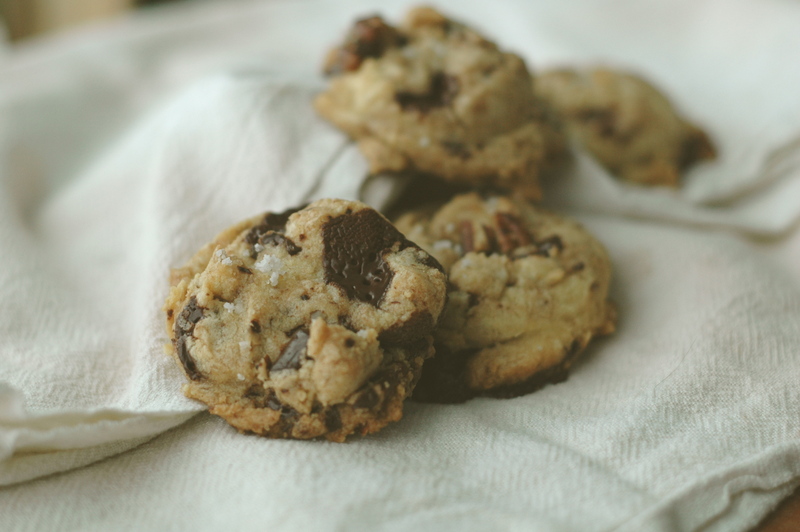 They differ from typical chocolate chip cookies in that they are not of the sort that are exceedingly chewy on the inside and crispy on the outside. I know, I know, I really love that, too. But bear with me. These consist of a more crumbly sort of dough, somewhat reminiscent of a shortbread. But they are insanely buttery and melt in your mouth. The shards of dark chocolate melt into liquid pools that drip into the crumbly, browned butter-scented dough and all over the toasted pecans. In case your head hasn’t exploded yet, the whole thing is topped off by a tiny sprinkle of fine sea salt. 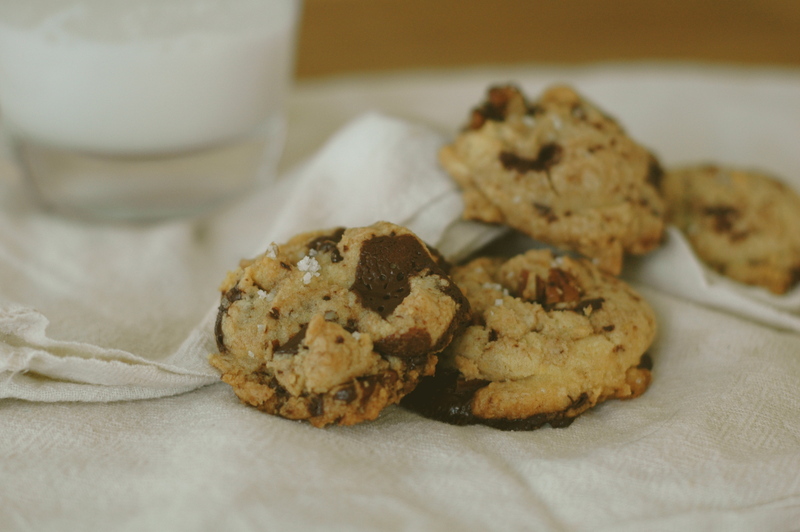 So, no, these aren’t Tollhouse chocolate chip cookies. But if I handed you the aforementioned cookie, would you be missing those waxy little chips, either? I don’t think so. Melt the butter in a small pan over medium heat and let it brown slowly. Stir regularly using a silicone spatula so the bottom doesn’t burn. The butter will foam up, then sizzle. Wait until it starts to smell nutty and reaches a golden brown color. Be careful at this stage, because it happens quickly. 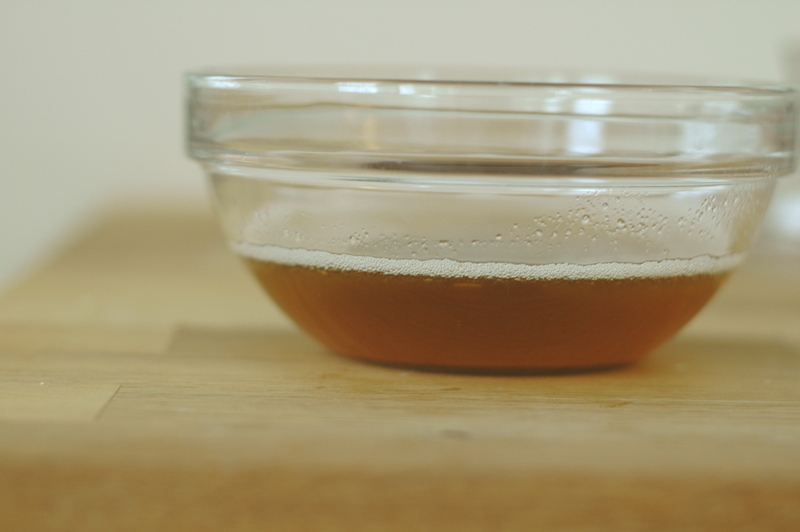 As soon as the butter has browned, remove from the heat and pour it into another bowl. Preheat the oven to 350 degrees F. Line two baking sheets with parchment paper or silicone mats. In the bowl of a standmixer, combine sugar and eggs, and beat until lightened in color and creamy. Add the cooled brown butter and beat for 2 more minutes. Add the flour, baking soda, and salt into the bowl, and stir just until combined. 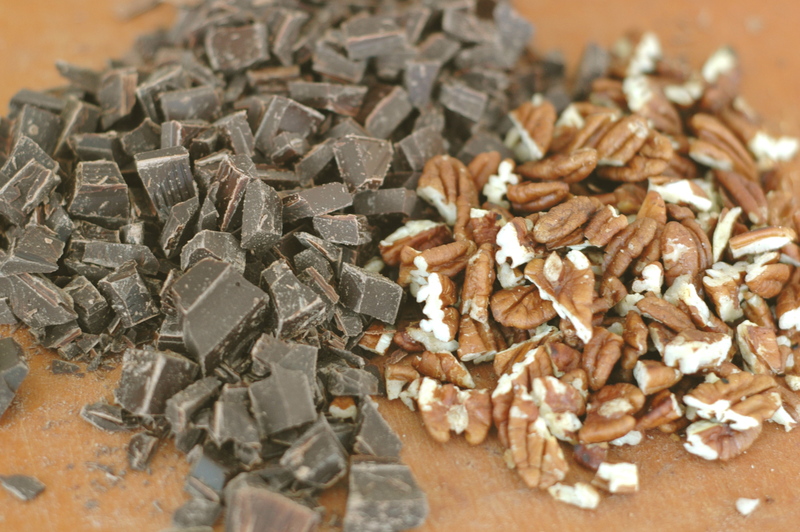 Lastly, add the chopped chocolate and pecans and mix until evenly distributed. Scoop tablespoonfuls of dough onto the cookie sheets. 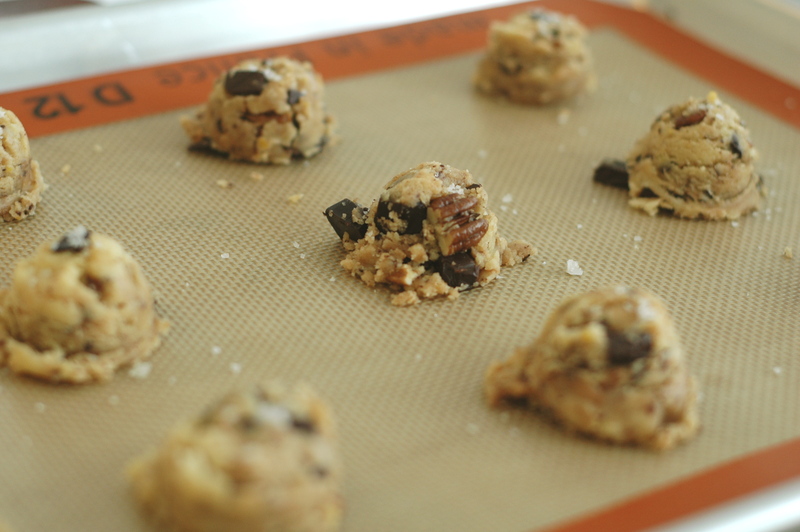 A cookie scoop works perfectly for this dough. Sprinkle each mound of dough with a little sea salt and bake for 12 to 14 minutes or until the edges start to turn golden brown, yet the center still feels slightly soft to the touch. Take out, let rest for 5 minutes on the sheet, then transfer to a wire rack and let cool completely. Store in an airtight container. I’m with ya… once you get used to it, doesn’t it seem so much easier and tidier? And it just makes more sense! You had me at “browned butter”! And I always want sea salt sprinkled on my cc cookies now! So good. Can’t wait to try these. Why the bread flour? Hmm well I am in France at the moment and their flour is different. Would all purpose be the same measurement? I kind of know the equivalent if all purpose but not bread flour. Thanks!